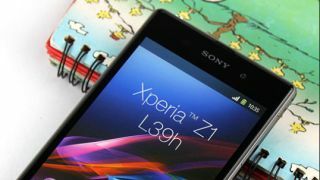 Galaxy Note 3 and Sony Xperia Z1 UK release dates leaked? Those waiting to get their hands on the forthcoming Samsung Galaxy Note 3 and Sony Xperia Z1 may not have to wait long following their expected unveiling at IFA next week. According to an alleged photo of Three UK's inventory the Galaxy Note 3 will be available from the network on September 16, while the new flagship Sony device will come a little more than a week later on the 24th. The purported internal document was sent to Engadget by a tipster who claimed to work for the UK's fourth-placed mobile network. With that in mind, it wouldn't be too much of a leap to suggest that the handsets will arrive with EE, Vodafone and O2 on those dates too. Neither handset has officially been announced by the manufacturers yet, but they've also made little attempt to keep them a secret either. The Galaxy Note 3 will all-but-certainly debut at Samsung's Unpacked event on the eve of the IFA tech show in Berlin on September 4. Sony's new top dog, long known by its 'Honami' codename is also scheduled to state its case on that date before the show gets underway. TechRadar will be out in force at IFA so stay tuned for all of the latest news as it breaks from the German capital.